Examples of organic electronics: flexible solar cells (left, supplied by Epishine AB), electronic paper (center) and piezoelectric textiles (right). 16-Jan-2019: The majority of our everyday electronics are based on inorganic semiconductors, such as silicon. Crucial to their function is a process called doping, which involves weaving impurities into the semiconductor to enhance its electrical conductivity. 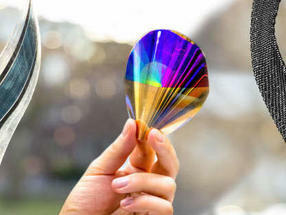 It is this that allows various components in solar cells and LED screens to work. But now Professor Christian Müller and his group, together with colleagues from seven other universities demonstrate that it is possible to move two electrons to every dopant molecule.